Nokia 3610 fold is a mid-end handset that has almost the same features as the Supernova-series 7210 phone. While the design of these mobile phones is totally different, there are lots of similarities regarding their features: display, internal memory, EDGE class 32 connectivity, microUSB 2.0. Still, if you are into clamshell phones and don't have a high budget, Nokia 3610 fold is the phone that can satisfy most users’ needs. I consider Nokia 3610 fold a much better bargain, as it features a substantially better battery, better keypad and 2 displays. If you like the layout and design of the clamshell, but still want something better in terms of features, I strongly recommend checking out Nokia 6555, which seems to be the enhanced version of 3610. Announced in August 2008, Nokia 3610 fold was made available on the market in November the same year. The clamshell can be acquired for no more than US$165, without any plan. Prices may vary depending on location and carrier, so chances are high that you'll be able to get it for under US$165. The phone is available in a wide range of colors: Blue, Red, Green, Rose. I was surprised to find the new design that Nokia clamshells have adopted. I was pretty bored with the usual stuff that the Finnish giant didn't bother changing in years, but checking some pictures that leaked on the Internet with the 3610 fold handset, I thought I saw some innovation. Even so, I wasn't expecting too much from the phone, as it's only a mid-budget device after all. Basically, what I could notice at first glance was its low width and its smooth finishes. The only thing I didn't like about it was the fact that it was way too long when unfolded. I myself, felt somewhat ridiculous when talking on the phone outdoors. 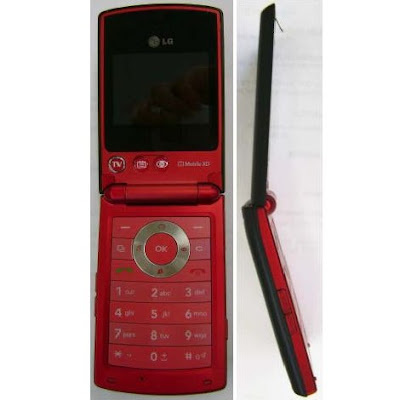 Also, I think that the phone should've been a little bit sleeker when closed, as it barely fits in a normal pocket. Nokia 3610 fold measures 99.6 x 44.3 x 19.6mm and weighs only 97g (including battery). When it is closed you can see the rounded folding mechanism, which is quite annoying. Still, this one disappears when you unfold the clamshell and you can only remark its fine finishes. The phone looks really sleek when you keep it open, but, as I have mentioned above, it seems a little bit oversized. The right side features two very small ports for headset and charger, whereas the left side sports a volume key, a dedicated camera key, but also a small microUSB port. The front part of the clamshell features a low-end 1.3 Megapixel camera, a secondary TFT external display (1.36 inches), but also a considerably large loudspeaker. Opening the phone reveals a very generous keypad with a simple layout. The D-pad controller is also large and easy to handle. On each of the four corners of the D-pad there are 4 contextual keys: Accept and Reject call keys and 2 soft keys. The main display can be considered of medium size at exactly 2 inches. You will probably wonder if this phone has a microSD slot card. Well, it does, but this one has been placed under the back cover, and also under the battery, which makes it non hot-swappable. Another drawback of the clamshell is the plastic used, which might give the impression of cheap, but that depends on what color version you opt for. Otherwise, Nokia 361 fold is one of the goodies in its mid-budget class, with excellent value for money and pretty nice design. While the clamshell is still far from anything attractive, it's still one of the pleasant surprises from Nokia. Nokia 3610 fold features a medium sized 2-inch TFT main display, supporting 262k color and 240x320 pixel resolution. This might seem a little bit small for those who are using their phone to surf the Internet or watch movies, but this is a mid-budget phone and browsing on EDGE connectivity might not be such a good idea anyway. The screen is visible enough when outdoors in strong sunlight. The quality of the image displayed is pretty good, bright and with excellent color contrast. Likewise, the secondary TFT display is visible enough and displays time and also the number that is calling you. It has 1.36 inches, it supports 262k colors and features 128x160 pixel resolution. The 1.3 Megapixel camera lacks auto-focus and flash capabilities, but at least it can record videos. The maximum resolution available is 1024x1280 pixels for pictures and 176x144 pixels for movies (15 fps). The camera interface doesn't come up with anything new; it's pretty standard and straightforward, with the usual settings, such as Effects (False colors, Sepia, Greyscale, Negative, Solarise), White Balance (Daylight, Tungsten, Fluorescent), Self-timer, Sounds. The camera lens is not that well protected, but for such a low-value module I don't even think it matters. As the phone features a dedicated camera button, you'll be able to use the camera to take self-portraits, even when the phone is folded. Otherwise, you can use the big D-pad to easily capture pictures, when the phone is opened. The camera takes good pictures, but I have noticed that it takes a little more time than usual to save them. Even though it's only 1.3 Megapixels I believe that it makes for a good addition to the phone and pretty much satisfies the needs of a medium user. The camera can also record movies and save them in 3gpp format, but the resolution is so low that it's not really worth it. Check out the samples below for a better understanding. 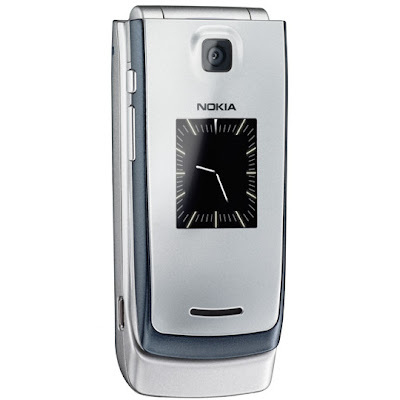 Nokia 3610 fold runs on an S40 5th Edition interface, which is one of the latest user interfaces coming from Nokia. If you owned a Nokia handset before and it didn't have a Symbian OS, then this clamshell will probably feel the same. One of the most user-friendly interfaces on the market, the S40 seems unchanged on the surface, and offers the Nokia 3610 fold user an excellent experience. The phone's firmware includes Flash 3.0, animated menus, submenus and icons. Nokia's Series 40 5th Edition UI allows users to experience streaming videos, image rendering, mobile 3D graphics and scalable 2D Vector graphics. The Series 40 5th Edition also supports the latest version of Adobe's Flash Lite 2.1, the interoperable platform that enables the accelerated development and delivery of rich graphical mobile content, and includes audio file playback and streaming capabilities that provide audio and music enhancements to mobile gaming and multimedia experience. The handset also includes some useful applications, such as Search, Alarm clock, Calendar, To-do list, Notes, Calculator, Countdown timer, World Clock and Stopwatch. The menu is fully customizable and you can designate any MP3, MIDI or AAC file as ringtone. Nokia's integrated browser has trouble opening websites with rich image content, so I suggest using Opera Mini. The phonebook can store up to 2,000 contacts, and each can be filled with up to five different phone numbers. The fonts can be customized, but only those displayed when opening Contacts, Web browser and messaging sections. Also, a wide range of Java games come preinstalled – City Bloxx, Golf Tour, Poppin' Panda, Rally 3D, Soccer 3D, Seasweeper, Sudoku and Snake III. The phone is compatible with Java MIDP 2.1 applications, but there is a limit to the size of any application that you might want to install on the phone, and that's the usual 1MB. This might be the case for most Java-compatible applications, but I noticed that I could run some files that were around 1.5MB in size. Nevertheless, not all Java applications will work on this mid-end device, so you might want to try that out for yourselves. Nokia 3610 fold is fully compatible with GPRS and EDGE Class 32, but, as benchmarks revealed, the device attained average scores in terms of data transfer speed (EDGE only 146 Kbit/s download and 70 Kbit/s upload), but that may greatly vary depending on location and carrier. The phone also features Bluetooth 2.0 with A2DP and EDR for faster data transfers. Synchronization with PC is possible through the proprietary microUSB port, but charging through USB cable is not available. The quad-band (GSM 850/ GSM 900 / GSM 1800 / GSM 1900) network-compatible clamshell has a good GSM signal reception. The sound is average in quality at both ends, but a little bit muffled. The vibration alert is very good. Nokia 3610 fold isn't compatible with JBenchmark Pro, so I was forced to use the obsolete JBenchmark 1.0, 2.0, 3D and HD. Even if current devices are over-optimized against many of these old tests, I say that the results are pretty relevant if compared with other handsets in its range. Nokia 3610 fold is most likely powered by an ARM9 family processor running at speeds of up to 220 MHz. While not the fastest phone on the market, Nokia 3610 won't lag more than its class competitors when browsing through the menus. I have noticed that it opens folders a little bit hard if they're heavily populated. The Nokia 3610 clamshell embeds 30MB user free internal memory, which can be expanded up to 4GB storage capacity. The memory is not hot-swappable and you must pull out the battery to replace the memory card. Nokia 3610 fold features a 2.5mm jack port and comes with Stereo WH-101 wired headset that sounds pretty good. Unfortunately, there's no 2.5mm to 3.5mm adapter included in the sales package, so you won't be able to change the headphones, unless you get one. The clamshell features a cool integrated MP3 player, compatible with MP3, AAC, AAC+, eAAC+ and WMA formats. The interface of the music player looks nice and supports album animations, as well as some basic settings such as Equalizer, Stereo widening, Shuffle and Repeat. Equalizer can be customized, or you can use the predefined settings: Normal, Pop, Rock, Jazz and Classical. The lack of music-dedicated external keys can be replaced by a Bluetooth headset, as the phone supports the A2DP profile. The loudspeaker sound is average in intensity, but clearly lacks any sort of bass. There's no FM radio function, so I guess you'll have to stick with the music player. Don't expect too much multimedia quality from a mid-budget phone, instead appreciate the features that it offers. The 1020 mAh Li-Ion (BL-5C) battery has an officially stated life expectancy of 19 days in standby mode and about 4.5 hours in talk-time mode. This should do even for a heavy phone-talker. It will need two-day charging for the latter, but can easily last 5 to 6 days if you're only using it 10-15 minutes per day. Nokia 3610 fold seems to be one of the few mid-budget handsets to get such a good-capacity battery, which recommends it even more for medium users. In case you're into clamshell phones and don't want to spend more than $200 USD on a handset, Nokia 3610 fold is definitely one of the best choices. Design and price should help the sales of this device more than its features after all. Overall, Nokia 3610 fold is a good piece and one of the few good clamshells coming from Nokia. Besides its design and price, I'd like to mention the above average camera, which takes unexpectedly good pictures. Other than that, Bluetooth 2.0 with A2DP function, microSD card and friendly user interface are some of the best features of this mid-budget clamshell. There are only a few other things that I would've wanted from Nokia 3610 fold: Radio FM function and hot-swappable memory card. Otherwise, there's nothing really bad about this handset, which might seem weird, but that's a fact. According to the latest news on the Web, mobile phone users in North America will soon be able to enjoy yet another handset that is able to offer something more than most of the crowd would do. We're talking about the new LG GM630, a mobile phone that is able to provide users with TV while they are on the go. The new LG GM630 TV phone is reported to actually come to the market as an updated version of a device that can already be spotted on the shelves in Europe, namely the older LG HB620T. However, the good news for users in America is that the LG GM630 is said to have been approved by FCC, and that there are some pictures of the handset already available. The new TV mobile phone comes in a flip form factor, resembling its predecessor, the HB620T, and sports a QVGA internal display, complemented by a smaller external screen and a 2-megapixel photo snapper, as well as Bluetooth connectivity, FM radio and a MicroSD memory card slot offering users additional storage space options. The photos that are available with the device also show that it includes a dedicated Mobile TV button. One could argue that the display of the new mobile phone might be rather small for a handset that allows users to view TV programs on it, yet it should do for now, given the fact that there are not too many similar devices available on the market. For the time being, there aren’t that many details on the exact availability of the new LG GM630, but, from what we've heard, the handset might soon get launched in both North and South Americas. No info on its pricing surfaced either, but it should become available in the near future, so stay tuned to learn the news.